Whether you are looking for a cosy meal for two, a family Sunday lunch or a get together with friends, the Three Horseshoes Inn is on hand to deliver. Just what you need to refuel after a day in the country, our menus aim to reinvent pub food with a host of innovative and delicious dishes packed with flavour, using the finest, locally sourced ingredients. Our chef Connor Turner focuses on modern British style with some great classical cooking thrown in the mix. This means no matter what sort of food you’re after, you’ll find it here. Our menus change monthly and correlate with the seasons, incorporating fresh, local produce so they always taste their best. Our chefs regularly forage in the beautiful local area with Adele Nozedar – a highly-esteemed author, food writer and passionate forager. This means they can incorporate the most delicious, fresh and seasonal ingredients into the dishes. We also have a carefully curated allergen menu so can cater for any sort of diet or allergy. Take a look below and please give us a ring if you need to ask any questions.  We look forward to welcoming you to the Three Horseshoes!